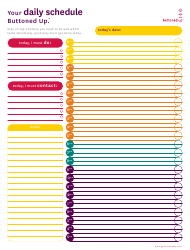 This colorful daily planner that lists tasks by the hour will help you stay on top of where you need to be on any day of the week. 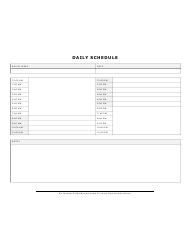 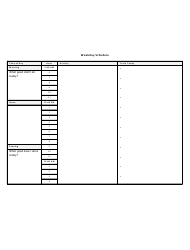 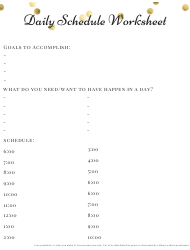 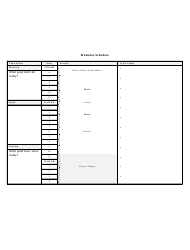 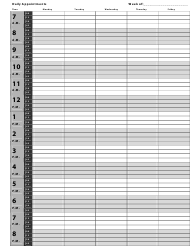 Use this template as a sample for creating your own daily schedule template or use as-is to practice mindfulness and stress-free daily habits. 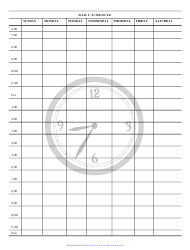 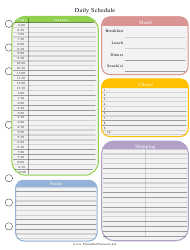 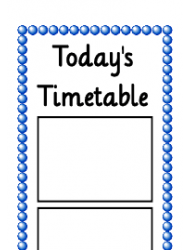 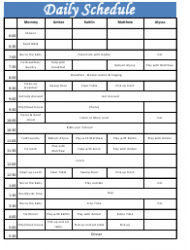 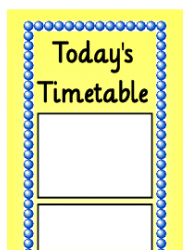 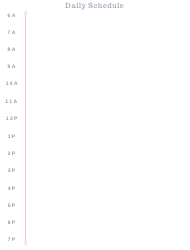 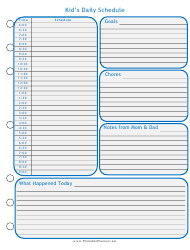 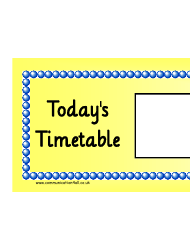 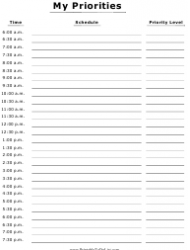 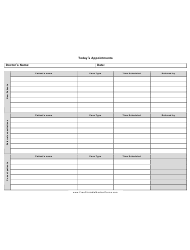 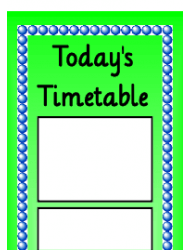 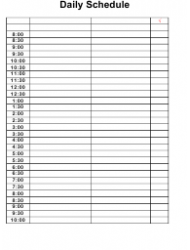 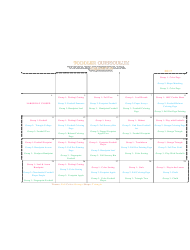 This planner template breaks down each day of the week into one-hour segments, starting from 6:00 AM and continuing until 12:00 PM. 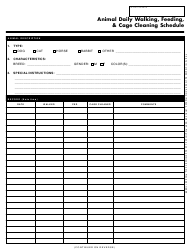 Use this template to record all examinations that happened throughout the day and schedule future appointments with your patients effectively. 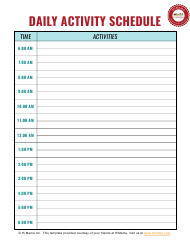 This bright blue daily planner lets parents plan out their kid's daily routines in advance. 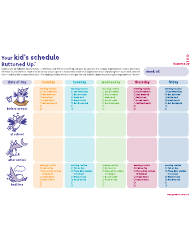 List goals, household chores and leave notes for your kid to follow. 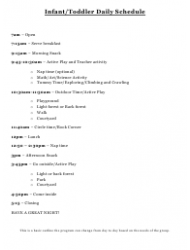 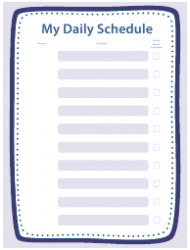 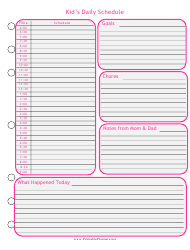 Plan out your kid's daily homework, play time and household chores with this bright pink daily schedule template. 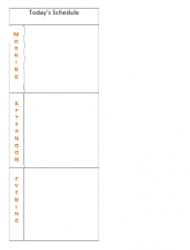 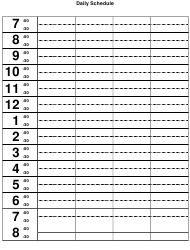 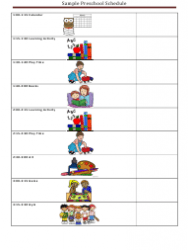 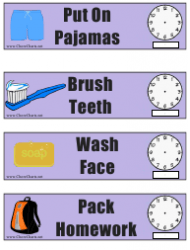 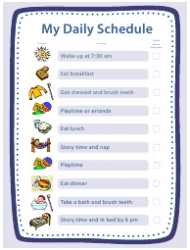 This set of printable cut-out cards lists the chores and daily tasks that your child has to complete by a certain time. 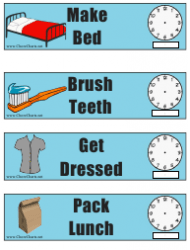 This set of cut-out cards lists the steps of a child's daily morning routine and allows parents to set a time frame for every activity. 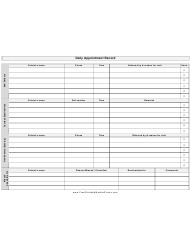 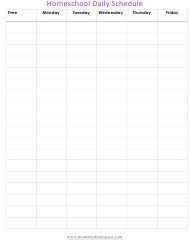 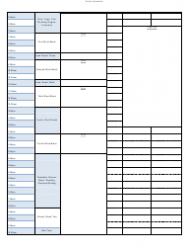 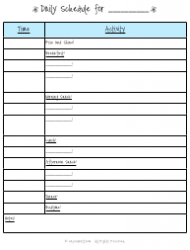 Use this template to review all of the patient's appointments that you have scheduled for a specific date. 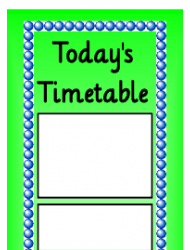 Group appointments by name, case type or referral. 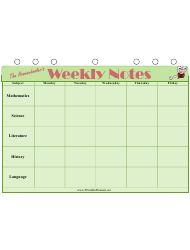 Use this planner to schedule math, science, literature, history and language arts homework for the week ahead when homeschooling your child.